1. Pray and prepare your heart. Passion Week, the last week of Jesus’ life, is a great opportunity for us to focus on Christ and grow spiritually. You can follow the daily devotional guide here. 2. Attend the 9:00AM or 12:00PM service. 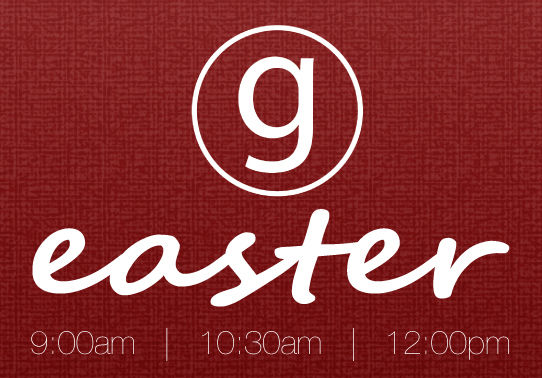 The 10:30AM is the most optimal time for Sunday AM church, and Easter Sunday will be no different. The 10:30 service is packed on a normal Sunday at Graystone, so if any of you can attend 9:00 or noon, we would greatly appreciate it. Let’s free up empty seats at the best time for our guests and those who have not been in a while. A great way to serve God is to make a sacrifice, so others can come to know Him. 3. Park at the intern house. Our parking lot will be slammed (BTW, we are investigating the cost of adding more parking and a 2nd entrance. ), so if you are physically able, please park at the intern house. You could drop the wife and kids off at the front door and park next door. We will have golf carts shuttling people back and forth. If you have an available golf cart or shuttle, please contact elliott@graystonechurch.com. 4. Arrive early. If you have kids, this will help us check your kids in before the “mad rush”. As you know, we are transitioning to a computer check-in service in the children’s area, and there is a learning curve. The more kids we can get checked in early, the better. Also, if you arrive early, you can meet and greet new faces. And you can be available if we need to you to jump in and serve. Graystone is a total team effort, and we need all our players dressed and ready to play. Hopefully, you won’t have to come in and be a relief pitcher for “the preacher”. 5. Invite somebody. Of all the Sundays of the year, Easter is the easiest one to invite a friend. Anyone who considers themselves a Christian will want to be in church on Easter, even if they have not attended since last Easter. My message will relate specifically to CEO Church Goers (Christmas and Easter Only), because this was my life for 15 years. My message will also relate to the sport-oriented family, and I will share the gospel clearer than my last drug test. The message will also challenge the believer and encourage us to live through the power of God in us. The same power that rose Jesus from the dead, resurrection power, lives in us. And no matter what is going in our lives, Jesus can do a miracle. And of course, Kyle and the Band, have some incredible music planned as we celebrate the life, death and resurrection of Jesus. And we will add a little humor through a video sermon illustration. Well, enough hype. If you’re not pumped about Easter, you might want to check your spiritual pulse. Let’s do our part to maximize Easter and trust God to do His part! Thanks for serving on the Graystone team. I love you guys.